These challenges can be detrimental to your lab's productivity. The 4500 system is designed to conquer them. Check out how SCIEX customers are using the Triple Quad 4500 System in these scientific publications. This kit includes all solutions necessary for installation and calibartion for all SCIEX Triple Quads, excluding the API 2000™ and API 3000™ instruments. This kit includes all solutions necessary for installation and calibration for all API 2000 and API 3000 instruments. Discover the line-up from LC to support that complements the 4500 system so your lab can realize your full productivity potential. We know that the mass spec system is just one component to the full workflow, and that maximum productivity is only achieved when all the parts are functioning at their peak – from the LC injection to delivering reliable reports of results. Here’s how the 4500 works together with the supporting cast that bring you from system to success. The chromatographic reliability you need to complement your mass spec. Discover the software that will speed-up your MRM quantitation data processing. From training to services and system monitoring, the SCIEX Success Network is your partner for maximum productivity. See the 4500 system in action for these common workflows. 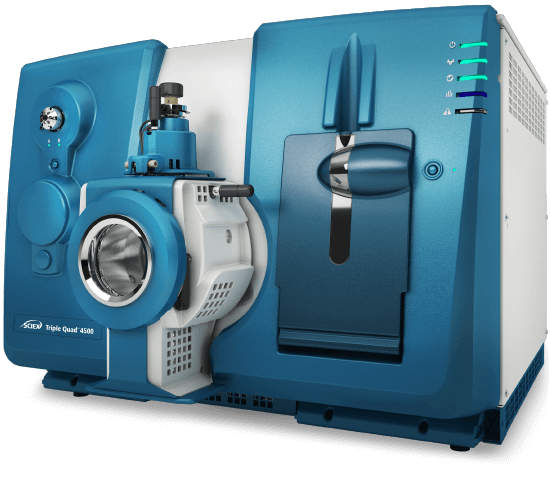 The 4500 system is a great fit for applications requiring round-the-clock quantitation, with the robustness to handle repeated injections of complex samples and reliability to minimize downtime. Here you can explore methods and see how the 4500 system performs in these selected applications.